Do you love following astrology blogs and digging up dirt on other people? Are you mystified by charts when you see them? Are you struggling to move beyond a dependency on other people or websites to interpret what’s going on in the sky? Can you faithfully recite the planetary associations without a real understanding of why, say, Venus rules love and money? 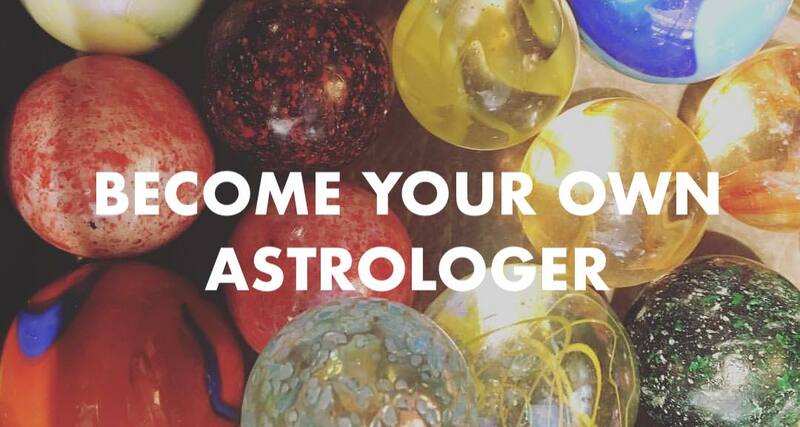 This 16-week beginner’s astrology course will ground you in a deep, holistic understanding of the astrological archetypes, as well as give you the skills and the confidence to read any chart. This won’t require a major time commitment, either. I’ll send easily digestible, weekly lessons to your inbox that you can absorb on your own time. Your “homework” will include journaling, doing practice charts, and participating in group discussions — as much or as little as you have time for. My main goal for this course is to coax you out of the well-worn, habituated grooves of your thinking about astrology and rid you of some of the “bad habits” you may have picked up along the way. There’s an endless amount of free information online for people who are curious about astrology. Some of it is excellent, some of it is okay, and some of it is utter nonsense (cue astrology memes on Instagram that categorize the signs as various bowls of mac ‘n cheese). If you’ve been trying to teach yourself astrology but still can’t fully grasp the concepts you’re reading about online, then this course is for you. Click here for a free preview of Lesson 1! To register: Fill out the registration prompt below and then submit your payment via the form at the bottom of this page (hit the “Start” or “Register Here” button). Cost is $49/mo for 4 months, or $189 for the whole course upfront. Low-income students are welcome to get in touch with me via email or DM for a potential price reduction.